Studio Cypher makes the world a better place through games. You’ll find our work in hospitals, museums, conferences, and homes. Using the right tools for the job — be it cutting edge technology or pencil and paper — we use fun to create lasting change. In partnership with Spry Fox, we have created versions of Road Not Taken for iPhone, iPad, and Apple TV! Games have a remarkable power to educate and encourage healhy behavior. Our successes range from increasing cooperation at an academic conference to radically changing how surgery patients view and participate in their physical therapy. We create our games in partership with educators, medical professionals, researchers, and civic-minded organizations. Our work derives from a combination of their expertise and our technical and design know-how. 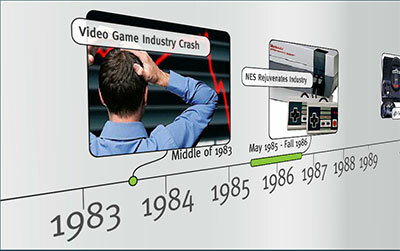 We have a combined 36 years of experience creating interactive experiences. We work directly with you to clarify your needs and craft a game that achieves your goals. 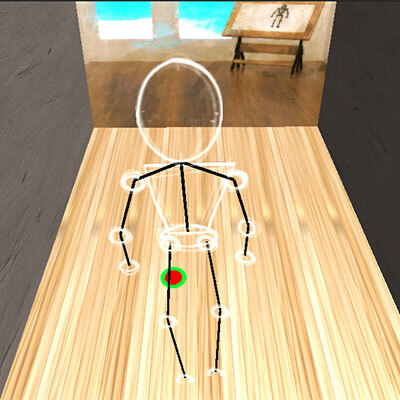 A body-tracking game for stroke victims that turns physical therapy from a boring task into a challenging goal. We are working with Wellplay Health to create a new kind of physical therapy that patients actually enjoy! When physical therapy is fun, patients participate longer before becoming fatigued and are less distracted by pain. Wellplay: Rehab is focused on the rehabilitation of stroke victims. We use the Microsoft Kinect 2 motion tracking camera to follow players' arms and legs, encouraging them to grab or step on targets. Physical therapists have full control of the game's configuration, ensuring that the game performs at exactly the level of difficulty needed. 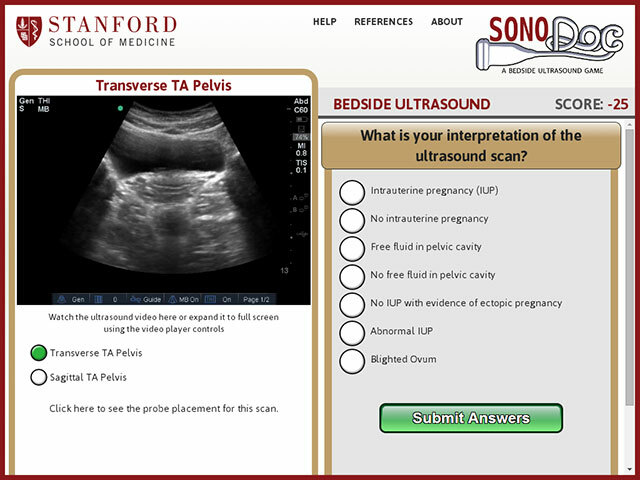 A web-based test of a physician’s knowledge of when and how to use sonograms. Created for Standford’s Continuing Medical Education program. A doctor's training never truly ends. 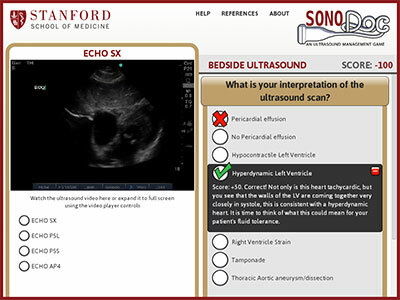 We created SonoDoc as an assessment tool for Stanford Medical's continuing education program. The game assesses a doctor's ability to perform and read sonograms. As the doctors play, they make important decisions about where to scan, what type of scan to use, and at what angle to perform the scan. The doctors then interpret their scan's results from real ultrasound footage and order the appropriate treatments. 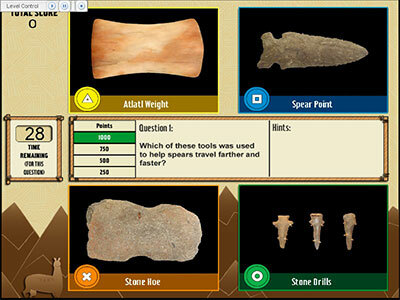 Six games that teach players about innovation in ancient times. Created for The Field Museum in Chicago. 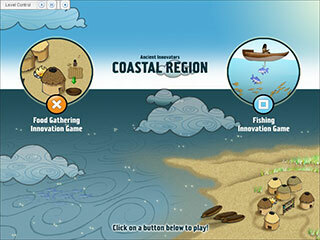 We created a series of six kiosk games for the Chicago Field Museum. Designing games for museums is an interesting challenge because they must be 1) Fun, 2) Historically accurate, and 3) Playable start to finish in 30 seconds or less. 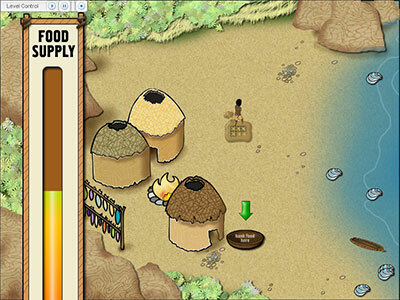 Within these constraints, we created six games that taught complex ideas, including how tribes figured out how to make acorns edible, why ranching is more effective than hunting, and how small improvements in fishing techniques can cause a population boom. Sometimes the work has mostly been done! We have a series of easily customizable projects that are just waiting for your unique content. Sometimes your project needs cutting edge technology and sometimes it needs pen, paper, and people. We work with everything from motion tracking hardware, HTML5, and mobile apps down to cardboard and stickers to provide a wonderful experience. 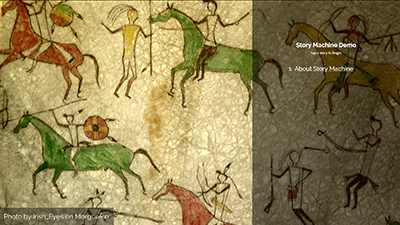 A highly customizable, interactive timeline of information. Perfect for websites, museum exhibits, or corporate lobbies. This touch-enabled timeline software lets you easily create a timeline that users can explore at their own pace. Test people’s knowledge with a quiz! 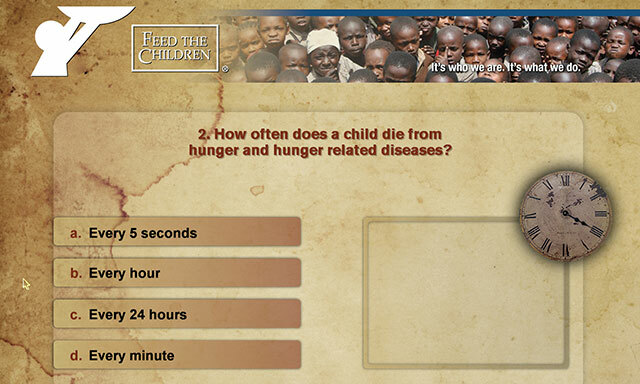 We can customize our quiz game with your graphics and any number of questions. 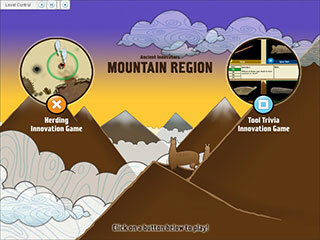 Our quiz game is easily customizable for your needs. Use our standard template, or supply us with your own design and we'll provide a custom version. Take complete control of your digital exhibits. Create unlimited combinations of text and images for display on touch screen or web. Include quizzes to increase audience engagement. Create content in-house both quickly and easily with the accompanying tool.